As a professional moving and storage company, your customers put their trust in you to safely move their important belongings and keep them secure until they can be delivered. Because of the importance of the efficiency and safety of your storage facility to your operations, you shouldn’t trust the design of your storage system to just any company. 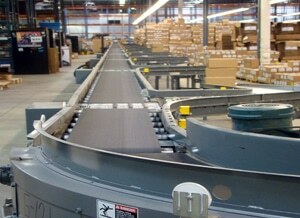 Do you need a material handling solution for your moving and storage facility? 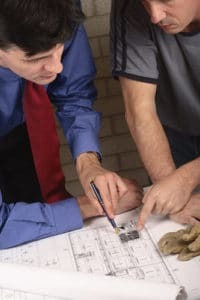 REB Storage Systems International has over 50 years of experience designing and installing storage systems for businesses in the moving and storage industry. 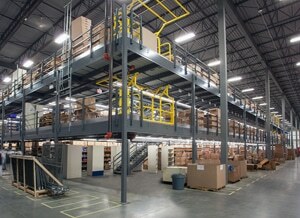 We can develop a storage system specifically with the needs of your moving and storage business in mind. 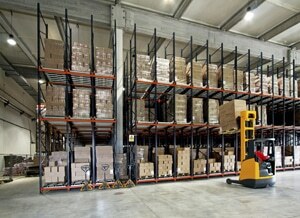 We offer storage for all products, including furniture, pallets, exercise equipment, etc. 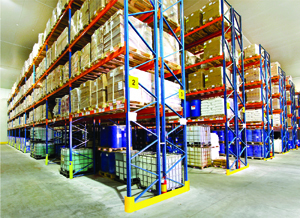 All of our storage systems are custom designed to ensure that they’ll work for your material handling team and your space. We provide complete support for your project, including design, permitting, installation, managing sub-contractors and shipping co-ordination. 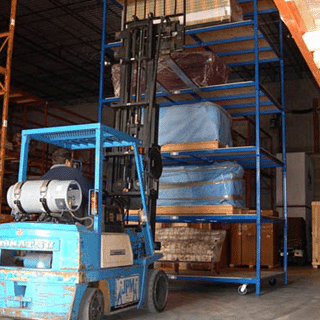 Our full-service approach to storage solutions for the moving and storage industry will ensure the success of your project and eliminate unnecessary hassles and stress. 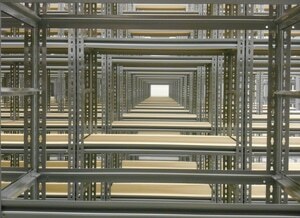 Space-Saving racks eliminate the need for wide aisles. 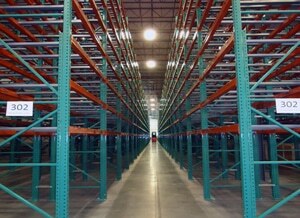 Racks can be rolled on their heavy-duty 6-inch casters. 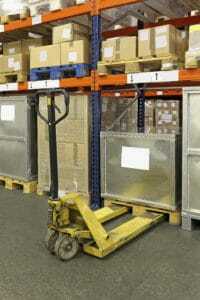 Every level is accessible by forklift. Each storage level measures 115 ½” x 75 ½” and will hold even the largest overstuffed sofa. Available in two standard configurations. Choose the 4-level unit that has an overall height of 11’8 ½” or the 6-level unit with an overall height of 18’9 ½”. Seven level units available upon request. Capacity per level is 750 lbs. Blue Powder Coat Finish. FOB – Shipping Point. Made in the U.S.A. replaceable casters available. 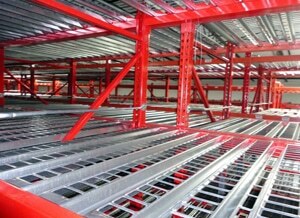 DO YOU NEED A RACKING OR SHELVING SYSTEM FOR MOVING & STORAGE COMPANIES? 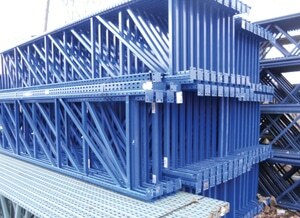 If you need a complete rack system designed for moving and storage, we can help. We've been working with the moving and storage industry for more than 50 years.